The DT-3352 not measures DC/AC current up to 1500Amp, and also measures DC/AC power up to 900KW. Other functions include power factor, DC/AC voltage, Resistance, Temperature, Capacitance and Frequency measurement. 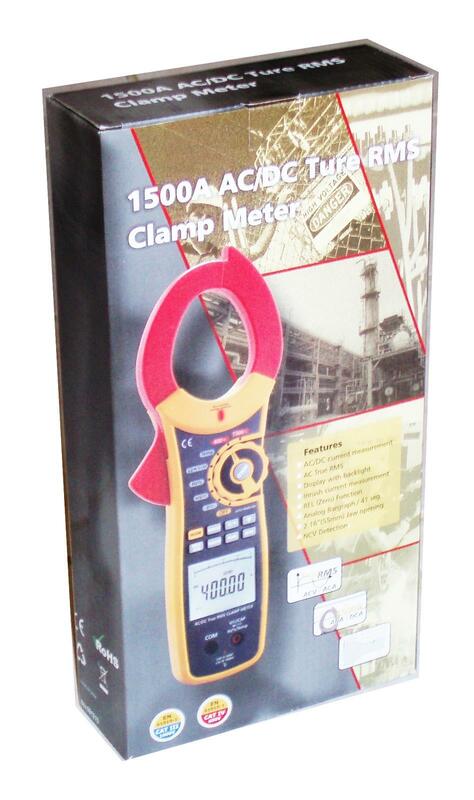 This is a brand new RE DT-3352 industrial clamp meter. This top-of-the-line clamp meter comes with various professional functions. The DT-3352 not only measures DC/AC current up to 1500Amp, but also measures DC/AC power up to 900KW. Other professional functions include power factor, DC/AC voltage, Resistance, Temperature, Capacitance and Frequency measurement. This meter is our high-end choice for serious electrical technicians. This meter is CAT III 1000V and CAT IV 600V rated. This device is compact and portable. It comes with batteries pre-installed. A heavy-duty carrying pouch is included to protect your device when working in the field.